But they're just such jerks all of the time. DMs (short for Dungeon Masters) usually get a bad rap, and rightfully so. Despite the rise of the role's "storyteller" aspect, decades upon decades of hidden traps, surprisingly cunning kobolds, and stealth-tarrasques have taken their toll upon the legions of poor, vulnerable tabletop gamers. Sword Coast Legends, the upcoming co-op RPG from Digital Extremes, does much to dissuade this notion. As you'll see in the videos below, the player taking on the role of Dungeon Master has a ton of tools to ensure their dungeons aren't mere strolls through the faery realms. However, the give-and-take nature of the "Threat" system forces DMs to be crafty with their resources and keeps the players from simply being overwhelmed by drider-riding ogres. Should you be the type of player who wishes to craft their own story (good on you! 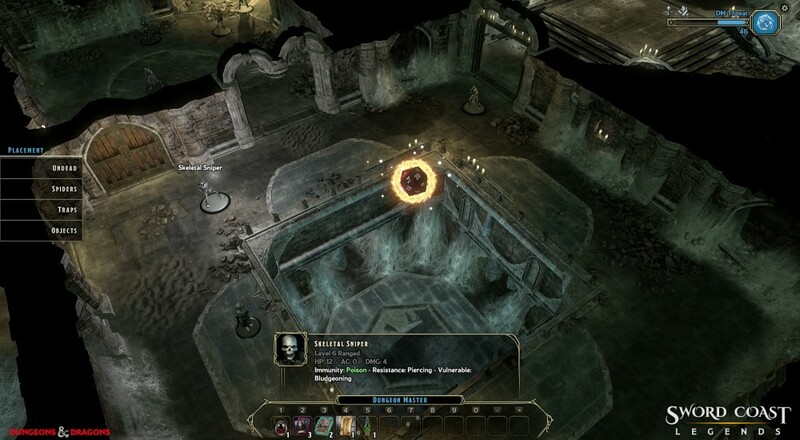 ), Sword Coast Legends grants quite a bit of freedom. The creation tools are briefly covered below and look pretty slick. While the game can be enjoyed via four player co-op without a DM, I would encourage potential Sword Coastians to give it a shot with a human mastermind "behind the screen". It isn't co-op in the strictest sense, but my experience with tabletop gaming leads me to believe that, when both players and DM are working together to create an imaginative story, it can be one of the most exciting cooperative experiences possible. Sword Coast Legends hits shelves September 9th of this year. Myself and my Orc Barbarian, Glug, will be ready all the while. Page created in 0.2424 seconds.